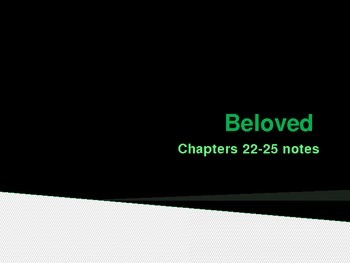 Beloved by Toni Morrison chapters 22-25 analysis notes for AP level classes. Analysis of themes, motifs, characterization, and symbolism. Power Point with pictures, great for literature analysis and student note-taking! Pair chapter discussion with Psalm 124 for some real eye-opening and shocking connections!